Archaeologist Ladislav Nejman of the University of Sydney said one of the biggest questions is the beginnings of human exploration of this landscape by Homo sapiens who arrived in this area for the first time. "We've found that somewhere between 40-48,000 years ago people became highly mobile," Dr Nejman said. You know, I haven't rated anyone a "1" for months. But you totally deserve it. If you don't like science go play somewhere else. "one of the most exciting [read - tragic] periods in human history - the transition between Neanderthals and modern humans." -I don't see how the extinction of a sentient species can be exciting unless you wrote the Turner Diaries. "Instead of moving short distances near the cave where they lived, they were walking for hundreds of kilometres quite often"
-Yeah refugees will tend to do that. Refer to similar displacements by huns and mongols. Trading allowed people to obtain resources from beyond their group boundaries allowing both groups to survive better. The spread of ideas that came with the trades is why we advanced so quickly. Without trade, humanity would not exist today. And what makes you assume they are trading and not on the run? Trade routes can be established by looking at long term movement over long periods of time. One off finds of rocks hundreds or thousands of miles from their source isn't trade. Finding hundreds of tools made from non local resources over hundreds or thousands of years is due to trade, not theft or pursuit. But thats not what the article says. "...they were walking for hundreds of kilometres quite often. 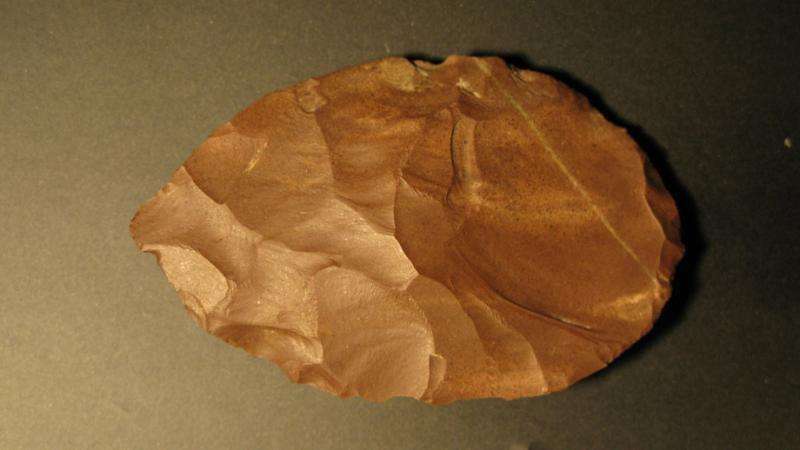 We know that because we found various artefacts where the raw material comes from 100-200 kilometres away"
-which implies that they were nomads who mined these distant materials themselves. Youre assuming cooperation probably because you want to imagine that humans were friendly, egalitarian types. "Ancient trade originated in the migratory patterns of prehistoric nomadic people..."
The presence of the materials in the article could also be explained by periodic raiding expeditions, in the same way that vikings 'traded' goods and services for britons' lives. The disappearance of neanderthal was the result of conquest, the typical outcome when tribes come into conflict over resources. Our tropical growth rate rarely allows for a steady state except when an overarching authority decides to manage interaction. For instance a stable culture endured in greece for the better part of a millenium because when disputes arose among city states, kings would consult with the oracles who would tell them who would be allying with, and who would be fighting against, whom. In other words the outcomes of these ritual engagements were predetermined. The central plains indians used to travel hundreds of miles north in summer to hunt buffalo. they would return south in the fall with hides, bone implements, and whatever else they could find.